Ambrosia @ EXPO offers a contemporary French Teppanyaki experience set within a casual fine dining atmosphere. We focus on superb food quality, only selecting the finest ingredients ranging from fresh fish and seafood to the best quality of Wagyu beefs. As is the nature of Teppanyaki, guests will enjoy a live cooking show with their meals, while our chefs prepare guests’ food tableside. 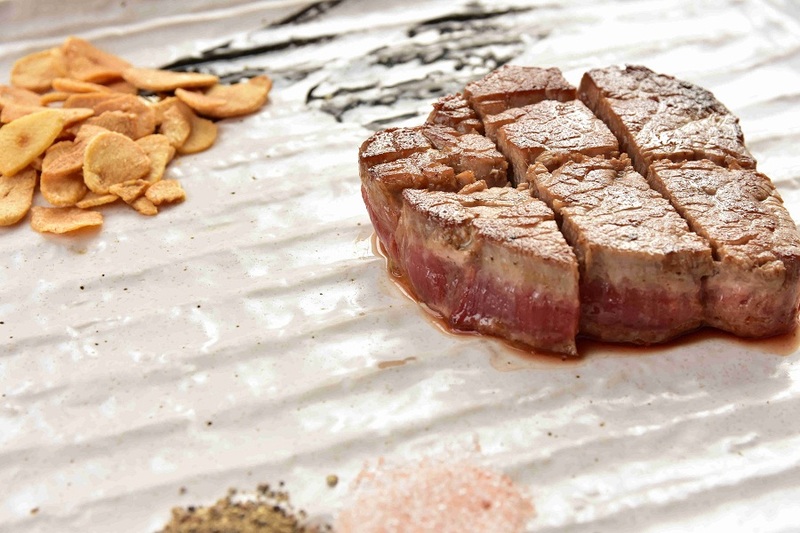 But unlike at other Teppanyaki restaurants in Shanghai, Ambrosia’s food is served like a French inspired coursed meal. The intentional limited seating around each Teppanyaki table ensures attentive service and an intimate dining experience.